UFO SIGHTINGS DAILY: Reagan had two UFO sightings, the US president spoke the the United Nations about an alien invasion, UFO Sighting News. Reagan had two UFO sightings, the US president spoke the the United Nations about an alien invasion, UFO Sighting News. President Ronald Reagan said he had two UFO sightings, both in a plane, where he told the pilot to follow it, which they did for a few minutes. He constantly thought about this and had inside info from the CIA about the existence of aliens. 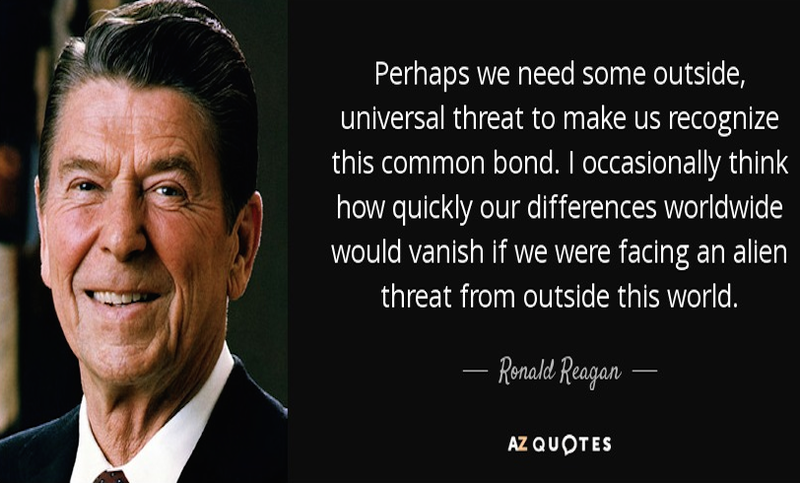 He knew things...and his subconscious would never stop pushing him to tell the public the truth...but remember what the CIA did when Kennedy pushed the CIA to reveal to NASA the truth...he was killed one week later from the signing of a memo about it. Reagan tried to warn us of a alien invasion. He succeeded.